When Deepak Dhar told his family he was resigning as group head of programming at Star TV to join a Dutch company named Endemol, the reaction was one of amazement. "My mother wondered why I was joining a cough syrup company," says Dhar, Managing Director of Endemol India, with a joyful grin on his face. His mother wasn't the only one amused. After all, Endemol does sound like a medicine (think paracetamol). But, that was seven years ago. There is no such misconception now, as Endemol has emerged as one of India's largest TV production companies, weighing in alongside much older rivals such as Balaji Telefilms and Cinevistaas. How did the company achieve this feat in such a short time? The success of Endemol, named for its Dutch founders Joop van den Ende and John de Mol, is largely a result of its hit reality shows such as Bigg Boss and Fear Factor-Khatron Ke Khiladi. Both are local adaptations of Endemol's popular reality shows Big Brother and Fear Factor in other markets such as the UK. Still, it wasn't easy to convince broadcasters to take up reality shows at a time when family dramas involving wicked mothers-in-law scheming against their daughters-in-law were the rage. "Back then (in 2006) no production house dared to venture into differentiated content," recalls Dhar, who was Endemol's creative director at the time. That did not deter Dhar and his then boss, Rajesh Kamat. Both believed that Endemol's hit global reality shows would work in India as well. "We used to stock as many DVDs as possible of global reality shows in our cars while meeting with broadcasters," says Dhar, sitting in the company's cramped head office, in Mumbai's Andheri suburb, that is a far cry from the swanky sets where its shows are recorded. Their first big break came in 2006 from Star TV, which was also Kamat's previous employer. Endemol created a stand-up comedy show, called The Great Indian Laughter Challenge, for the channel. The show was a runaway hit and ran for four seasons. It was followed by Bigg Boss for Sony in late 2006. Kamat quit Endemol at the end of 2007 to join general entertainment channel Colors, backed by a joint venture of the US-based Viacom Inc and India's Network 18 Group. His exit came as a blessing in disguise for Endemol. As the head of a new channel, Kamat was up against strong rivals such as Sony and Star TV. He wanted to break away from the clutter of family dram as, and Endemol's top reality shows fitted well in his strategy. The second season of Bigg Boss began on Colors. The show has now run for six seasons. Fear Factor, an adventure reality show, was launched in 2008 and ran for four seasons. Both shows brought more visibility for Endemol. An important reason for the popularity of Endemol's shows was their star hosts - Salman Khan for Bigg Boss and Akshay Kumar for Fear Factor. The shows were also instrumental in taking Colors to the top of television ratings. Dhar says Bigg Boss and Fear Factor created a buzz at a time when other production houses such as Balaji were churning out family dramas. "Who would think of putting 13 women in a show like Fear Factor on prime time?" The success of these shows gave Endemol a perfect launch pad to aim for becoming a full-fledged production house. In 2008, the company forayed into fiction shows, which has a 60 to 70 per cent share of the Indian TV market. It first joined hands with Star TV as a co-producer for shows such as Sabki Laadli Bebo and Miley Jab Hum Tum. Two years ago, Endemol launched its own fiction show Chhajje Chhajje Ka Pyaar. It now churns out 1,000 hours of programming annually across various formats in Hindi and regional languages. In 2011/12, it earned a net profit of Rs 4 crore on revenue of Rs 131 crore. Regional markets, especially the southern, Bengali and Marathi markets, are fast-growing verticals for Endemol. "Southern audiences are hooked to game and talent shows," says Dhar. 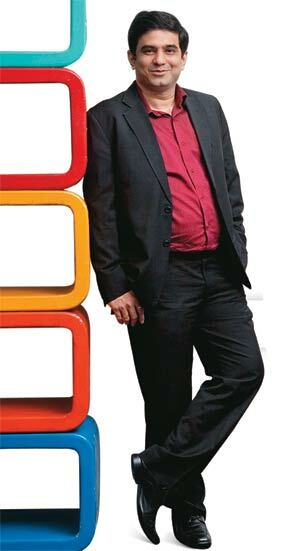 Endemol took his biggest game show, Deal or No Deal, to Sun TV, a Chennai-based network owned by Kalanithi Maran. Sun TV signed up for the show in Tamil, Telugu, Kannada, and Malayalam. The show was a hit and ran for 400 episodes. Dhar explains Endemol's growth strategy with an analogy. "We have run a 100-metre race really well by making short-duration reality shows. We now want to run a marathon, as fiction soaps have a two- or threeyear horizon," he says. The opportunity is huge. According to a study by consulting firm KPMG, India has nearly 150 million TV owning households and more than 830 channels. KPMG estimates that India's TV market is likely to expand at a 17 per cent compound rate annually to Rs 73,500 crore by 2016 from Rs 38,000 crore in 2012. But scaling up is a challenge. 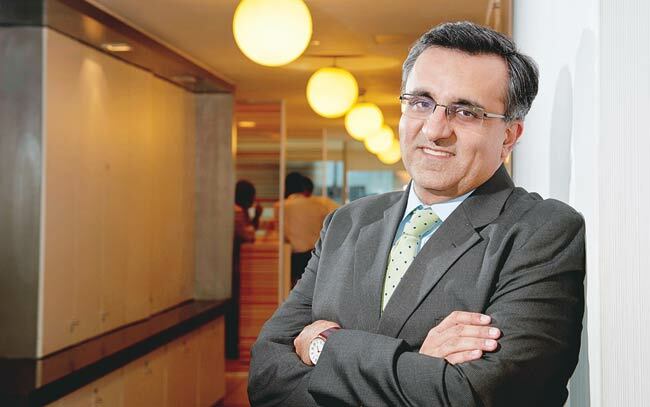 "Television is a very fragmented industry world over because of its creative nature and execution challenges," says Jehil Thakkar, who heads media and entertainment at KPMG India. Endemol also has strong rivals. Fremantle Media, for instance, has made hit reality shows such as Indian Idol and India's Got Talent. Big Synergy, part of billionaire Anil Ambani's Reliance Group, has produced game show Kaun Banega Crorepati with Bollywood superstar Amitabh Bachchan as host and also makes shows for regional markets. "A bulk of Endemol's growth has come by replicating successful global reality and game shows," says an executive from a rival company who does not wish to be named. "It doesn't have the same advantage in fiction shows." Dhar says the challenge is to select the shows from Endemol Group's global portfolio of 5,000 programmes that can be tailored for India. He lists Mr and Mrs Pells, a successful fiction show produced by Endemol's Argentine unit, for a possible India entry. Another one is Penoza, a famous Dutch series. He is also preparing to introduce quiz show One Versus 100, which ran in the US, the UK, Israel and Indonesia. Next on Endemol's agenda are movies. A year ago, Dhar discussed his plans with Kamat, his former boss. Kamat had, in April 2011, quit Colors to join CA Media as its India CEO. CA Media, based in Hong Kong, was set up by Peter Chernin and Paul Aiello, to invest in media, entertainment and technology businesses in India, China and Indonesia. Chernin was previously president of News Corp and the CEO of its Fox movie unit that made blockbuster films such as Titanic and Avatar. Aiello previously headed News Corp's Asian cable TV business. Kamat convinced Chernin and Aiello to invest in Endemol India. In April 2012, CA Media picked up a 49 per cent stake in Endemol India for an undisclosed amount. The investment provides Endemol the benefit of CA Media's expertise in movie-making. "If you are a content producer you have to dabble in films to build scale," reasons Kamat, who is now on Endemol India's board. As a first step, Endemol last year bought the remake rights of Kahaani, a hit movie starring Vidya Balan, for southern markets. "We want to buy movie rights from both southern and Hindi markets for remakes," says Dhar. On February 12, Endemol announced a Rs 100 crore deal with Eros International for three movies. Some industry watchers say an expansion into films will help Endemol, as margins in the fragmented TV industry are far too low. But KPMG's Thakkar adds a note of caution. "Moviemaking is a risky business in terms of money, production and scale." Endemol also plans to make aggressive forays into the digital space. CA Media already has stakes in popular YouTube channels in the UK and Spain. Endemol Group, too, has a partnership with YouTube for specialised channels for European markets. The next few years will be challenging, as the company expands and enters new business verticals. "It is an exciting time in India and, at times, it is unnerving," says Dhar. What is his vision for Endemol? "I hope Endemol, at some point of time, becomes an octopus," says Dhar. That's an interesting comparison, as the eight-armed sea animal is known as much for its intelligence as its flexibility and survival skills.